As far as magical abilities go, being able to summon fire is a pretty good option. See how these girl harness their powers. And check out more book with fire magic here. Herietta Howel has a secret. She can burst into flames. When word of the fires reaches the capitol, a sorcerer takes her to London to train her, believing she is the prophesied. As the only female trainee, she meets a lot of opposition and is left wondering if she's truly the prophesied one at all. Jessica Cluess created a fascinating world in A Shadow Bright and Burning. It's rich with history and politics, two of my favorite details in a fantasy setting. I especially enjoyed the ward around the city and the differences between sorcerers and magicians. Henrietta is a character I couldn't help but root for, and I was invested in figuring out who was really on her side. In a world ruled by Frostbloods, Ruby has concealed her Fireblood abilities her whole life. She hasn't been careful enough, and one night her village is raided, her mother is killed, and Ruby is imprisoned. She languishes there until a group of rebel Frostbloods break her out. Their goal to is kill the king, and they need Ruby's help. I really liked Elly Blake's debut. The fire and frost magic is really cool, and I like the push and pull of these two opposing forces. I also really liked the monastery setting, and all the characters who dwelt there. Ruby has a firey personality to go along with her power, whereas Arcus, her trainer, is cool and distant. I enjoyed seeing the clash between these two. Jey's twin has never had a name. She doesn't officially exist. When she was born, her parents should have killed her, but they couldn't bear to, even though Jey's twin was a dangerous Redwing demon. The hidden twin never felt that she was very dangerous or evil. When threatened while on an errand for her father, she discovers she can summon fire. Now, the temple knows a Redwing is out there, and they are looking for her. The setting in this story is fascinating, with volcanoes and ash and gardens. There's a creepy temple, a mysterious prince, and an underground rebellion. 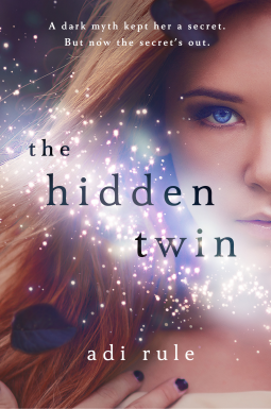 The Hidden Twin by Adi Rule is a clever genre-bender. Review copy from NetGalley. On the island of Fennbirn a set of triplet girls is born to every queen. These children will each possess a powerful magic. Arisinoe is a naturalist who can speak to plants and animals, Katharine is a poisoner who can ingest powerful poisons, and Mirabella is a elementalist who can control wind and flame. These three sisters are on the eve of the competition that will determine who will become the next queen. And it's a fight to the death. 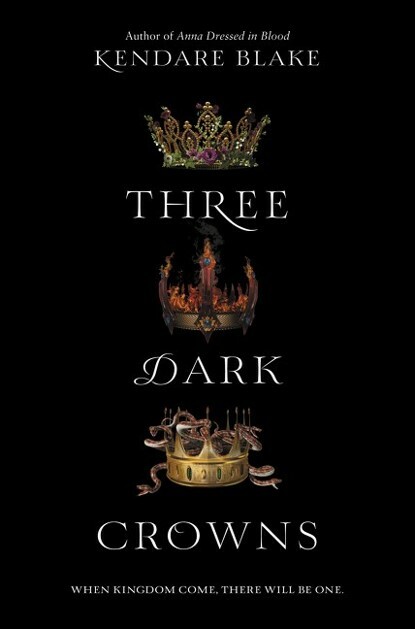 Kendare Blake's Three Dark Crowns is a fantastic start to a new series. I loved every one of the sisters, and I adored the dark atmosphere. The ending is quite the cliffhanger, and I'm excited to start the sequel. Review copy from Edelweiss. 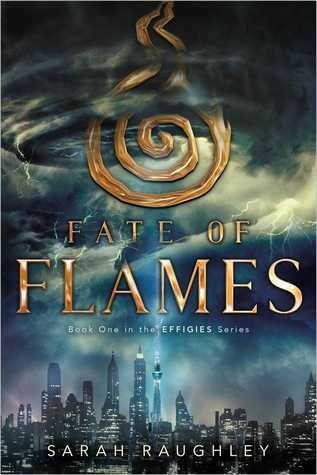 The world of Fate of Flames is like our own except phantoms terrify and destroy. When the phantoms showed up, so did the Effigies, four girls who have the power to control the elements and drive back the phantoms. Maia is a fan. She grew up following the Effigies online and speculating on their lives. She never expected to become one. Filling the shoes of the previous Fire Effigy is not easy, and when Maia meets the other Effigies she learns that they are also just girls like her. How did the fate of the world get thrust onto their young shoulders? Sarah Raughley gives readers plenty of mystery and a different view into the world of super heroes with this one. Review copy from NetGalley. 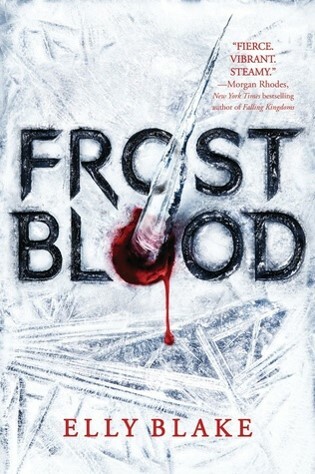 Frost Blood, The Hidden Twin, Three Dark Crown, and Fate of Flames reviewed by JoLee. 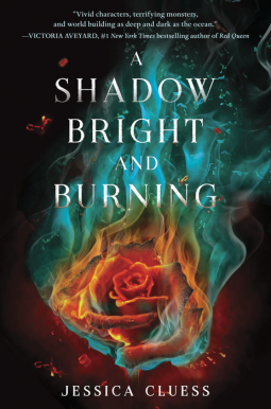 A Shadow Bright and Burning reviewed by Paige.